This entry was posted on October 29, 2018 at 5:31 am and is filed under Random signage, SoHo, Transit. You can follow any responses to this entry through the RSS 2.0 feed. You can leave a response, or trackback from your own site. Ms. Crain: Is this tile a product of a known ceramics company producer at the early 20th. century? 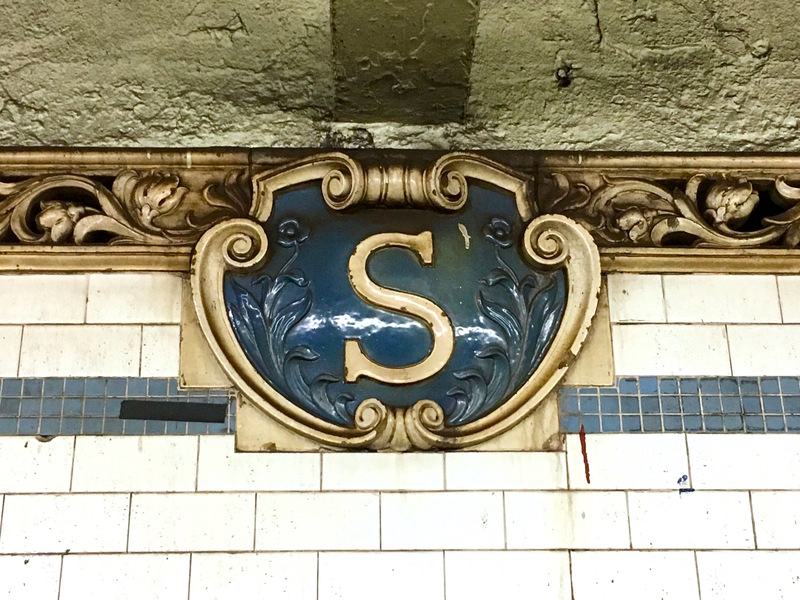 Yes, I believe it’s the work of Grueby Faience Company; they did all the original tiles and friezes in the subway. 70-73. I remember that station very well. That was during the time period in which “The Taking of Pelham 1-2-3” was originally set. In the book, the motorman is shot. In the movie, the conductor is shot. I suspect you probably liked the book version better, for that reason. Nonetheless, as a fourth-generation New Yorker and subway buff, I thank you for your service on one of my favorite transportation systems in the world. We would take the #6 to Spring Street every time in NYC. When you exit walking East a few yards you see 55 Spring St. The location in THE POPE OF GREENWICH VILLAGE of the mob’s social club. Burt Young was poisoned, crashed through the windowed door and ran towards the subway kiosk. Mickey R & Eric R walked East on Spring Street to end the movie. Our destination was Little Italy. Superman’s inventors were Canadian, so I suspect there’s no direct connection, but it’s good fun anyway. 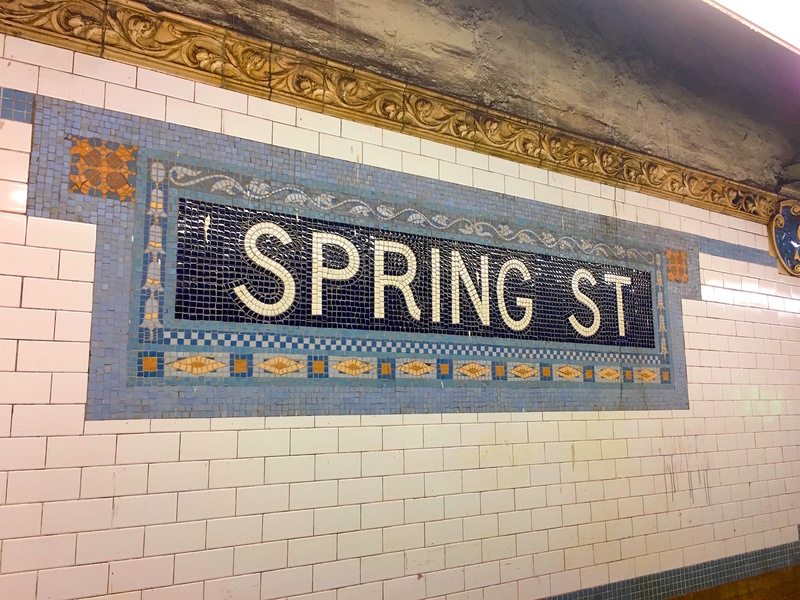 Those Heins & LaFarge mosaics on the original 28 stations were and remain brilliant.